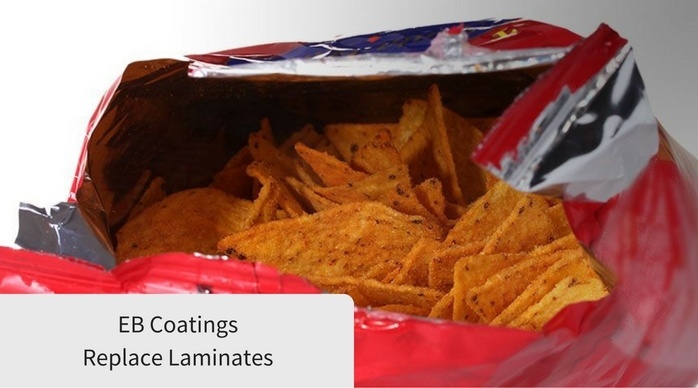 EB Coatings Eliminate Need For Laminates — Energy Sciences, Inc.
Laminate adhesives are used in a variety of industries for protecting printing on flexible packaging, but EB coating has the capability to render lamination unnecessary. Applications stretch far and wide into medical use and packaging that protects food, alongside a number of other general purpose applications. Lamination gets the job done, but opting to use an electron beam coating eliminates the need for this step. Lamination has been a sufficient way to protect printed materials since its birth in the 1900s. Depending on the application, laminates can be hot or cold applied. At Energy Sciences Inc., our laminate adhesives allow for a 100% solids instantaneous cure that is laminated and slit in-line. This process has no isocyanates, no aromatic amines, and no solvent capture. Lamination is often a cost-effective choice for the smaller printer because it can be cheaper than high-tech equipment many bigger organizations use. Although lamination works and is relied upon by many, it does have some cons in its use. Many times the edges must be trimmed on each piece, there is a slower output, and a slightly higher cost per unit piece. With the advancement of modern day coating technology, like electron beam, a package can be produced and cured without a lamination step. Ebeam coating keeps the positive attributes that lamination offers, like attractiveness and longer shelf life. Electron Beam Coatings allow all the functionality and performance of laminated items, without having to laminate dissimilar materials. Dissimilar materials in a package limit recycling efforts and affect packaging economies. An electron beam coating also eliminates a film layer and adhesive, resulting in source reduction. The other benefits of EB curing are also included. It provides an instant cure, which allows a print, coat, and shipment all in the same day. FDA approval is guaranteed, so there are no volatile organic compounds, and it is always safe for food packaging. You can also go duplex to monoweb or triplex to duplex, without any costly and unnecessary transition times. EB coatings are less costly than laminates, as seen in the graphic above. Notice in the after (EB method) the adhesive and the 16 micron clear OPP is completely eliminated and replaced by one clear top coat. This change allows you to produce a high-quality product with fewer materials, resulting in a 10% cost savings. An EB coating on a packaging solution is perfect for foods and flexible packaging. If you are interested in learning more about how EB coatings replace laminations, contact us to speak with an ESI representative who will be more than happy to walk you through the process. We are the founder and world leader in low-voltage electron beam technology and would be more than happy to walk you through other applications as well, such as flexo, offset, and Gelflex-EB. Click the button below to start the conversation.